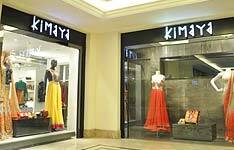 Leading fashion retailer Kimaya Fashions is enhancing its focus on the e-commerce segment, and announced that they would open only web stores after 2017. Meanwhile, Hirani plans to launch two more e-commerce sites this year--Designerrack.com in August and a designer's marketplace in December. Designerrack.com would be a ‘special offers only’ site from Kimaya Fashions.